Rexi Hood is not just Princess Dorthea’s maid-she’s the daughter of the infamous thief Robin Hood. And she has him to thank for her service at the Emerald Palace. Someone had to pay his bail. 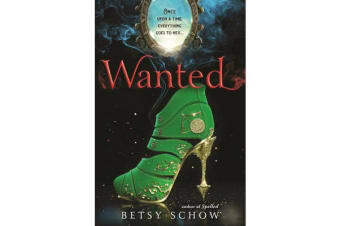 But with Emerald turned upside down thanks to Dorthea’s wish upon a cursed star, Rexi is finally out of the palace and on a mission to find the Wicked Witch. So when they discover she’s after the magic of Excalibur, Rexi goes undercover at Camelot. There she must join forces with reformed knight Mordred to stop the Wicked Witch from using the sword to take over the land of Story once and for all.